WELCOME TO 5 Star Auto Plaza – A St. Charles Missouri Dealership who serves St. Louis and surrounding areas. 5 Star Auto Plaza has proudly served the St. Charles MO and the surrounding St. Louis Missouri area since 1997. We carry a wide range of used cars, trucks, SUVs, and mini vans. Our pre owned vehicles come with a warranty at no extra charge and are Missouri state safety inspected and emissions tested. Our experienced sales staff is eager to share their knowledge and enthusiasm of our available vehicles with you. You can request more information via our online form or by calling our dedicated sales staff at 636-940-7600. While on this site, make sure to check out our Weekly Vehicle Specials and get up to date information on recent events with our What’s New page! Regardless of year, make or model, our talented staff at 5 Star Auto Plaza can help find the car of your dreams. We encourage you to browse our inventory, schedule a test drive and investigate financing options. If you don’t see the particular vehicle you want, fill out our CarFinder form and let us know. If you’d like to see a vehicle in person, check out our Hours & Directions page for step-by-step driving instructions to our dealership. We serve the St. Louis, St. Charles, St. Peters, Florissant, O’Fallon and surrounding areas. We offer automobile financing options to fit ANY situation. Whether you have perfect credit, have had just a few credit problems, or have bad credit, we really have a payment program that will fit your needs. With the recent economic downturn, we saw the necessity to maintain strong relationships with our banks and finance companies. Because of these strong relationships, we are able offer low interest rates as low as 1.74%! Even if we are unable to match you with an outside creditor or vehicle financing program, we offer buy here pay here financing and we will finance you in house. 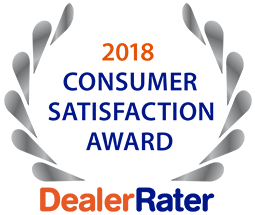 Thank you for taking the time to visit our website at 5 Star Auto Plaza, your St. Charles used car dealership. We are proud to be your dealer of choice when looking for a used car, truck or SUV with exceptional service. We hope to see you soon! From I-70W, take exit 225 for Cave Springs toward Truman Road. Turn right onto Cave Springs Road. Turn right onto W Clay. We are just down the road on the left. Auto financing for all types of credit! Could you use an extra $1000? Now it gets even better. If you send in 5 people with in a 6 month time frame, we will double your money for a total of $1000! And after that, we will continue to give you $200 for everyone that you send in that buys from that point on! Think about all of your friends and family. Who is next in line to need a new car, van, truck or suv? Remember, it doesn’t matter if they have horrible credit or perfect credit. We have guaranteed approval and rates as low as 1.74%! Download our referral letter here!